Orec's AHRC662 Cyclone Flail Mower does the brush clearing and mulching for you! 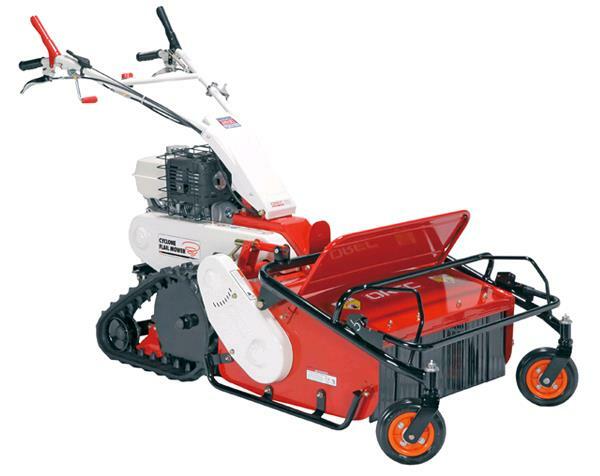 As a brush mower, it can take down tall grass, weeds, brambles and even small saplings. Add to that the thirty eight blades that chew up and mulch the brush and you have an all-in-one brush mower and mulching machine. It's easy to use, too, with a stress-free clutch turning system and easy to use blade height adjustment. * Please call us with any questions about our mower 26 inch flail brush tracked rentals in Burnsville MN, Rosemount MN, Apple Valley, Minneapolis, St Paul, Twin Cities, South Metro,and Dakota County.